Elcomed provides the surgeon and implantologist with a powerful and multifunctional surgical unit. Its wide performance spectrum makes it suitable for use in maxilla-facial surgery, implantology, microsurgery and small bone surgery. The Elcomed operating concept places particular emphasis on compact design and user friendliness. All significant parameters immediately appear on the graphic display. Elcomed is operated with illuminated push-buttons with a perceptible pressure point and audible confirmation. All main functions can be operated from the front panel. One of the most appealing features of the Elcomed, is the INI card which allows individual program settings to be saved onto it. Whenever the INI card is inserted, the stored programs are available for use. The Elcomed has a 12 month warranty. Implantmed is the complete solution for dental surgical work, which goes beyond basic tooth removal and opens up new possibilities for oral, dental and maxillofacial surgery. An additional Endo function enhances the program spectrum. 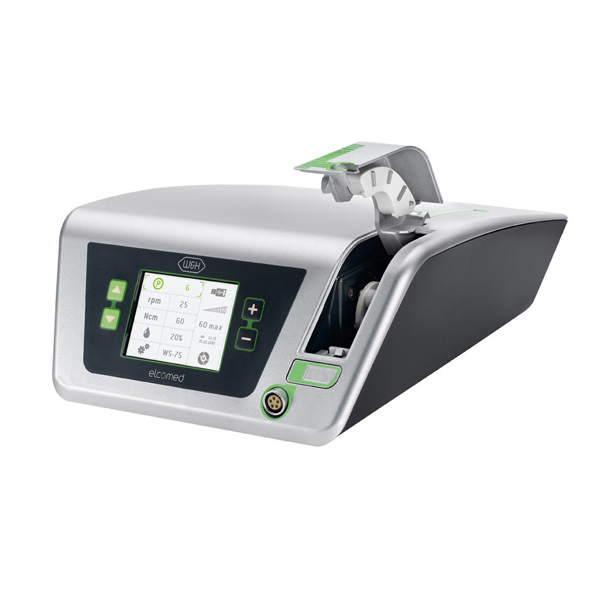 The Implantmed offers an ergonomic design and features a quiet running brushless motor which is reliable and fully sterilisable. 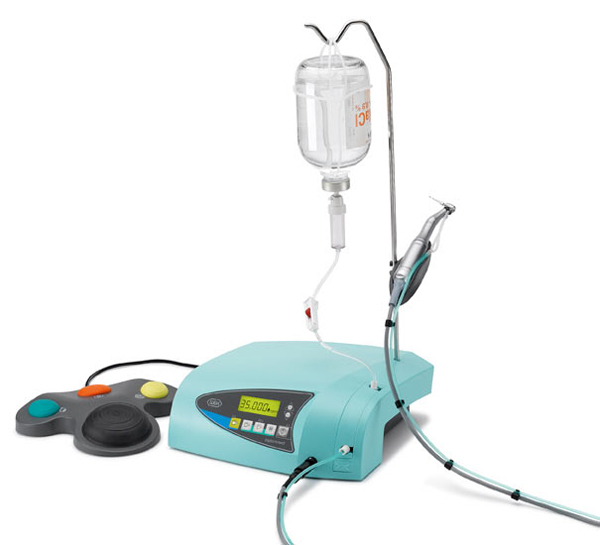 The motor, cable, stand and handpiece holder can all be sterilized. The foot control can be used to monitor the coolant pump, motor control and preselected maximum speed. An important feature of the Implantmed is the torque limitation, which is important for implantations. The Implantmed comes with a 12 month warranty. 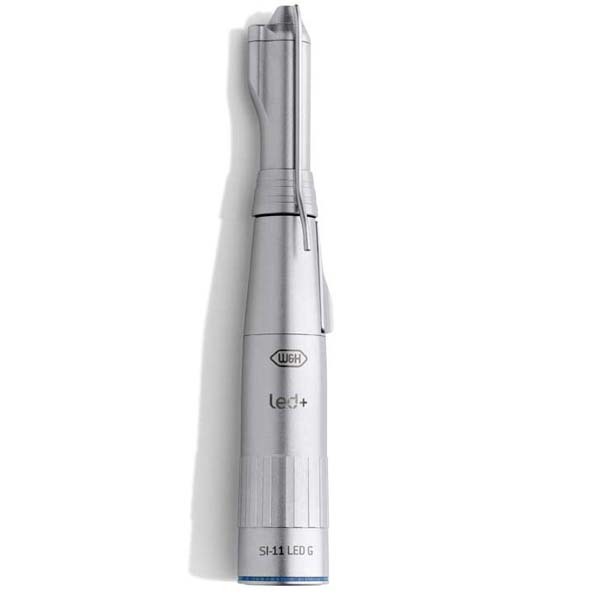 These surgical handpieces contain LED and produce a pure white light autonomously. 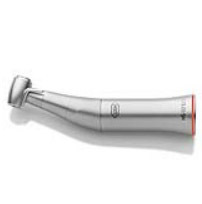 Both handpieces are easy to dismantle to enable thorough cleaning and sterilization. Both come with a 12 month warranty. These handpieces are also available in non-dismantleable options also. 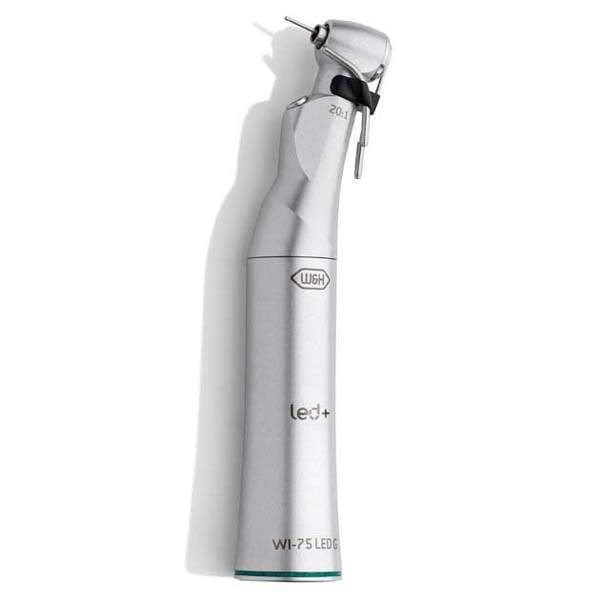 WH-SI-11 LED G Surgical Straight Handpiece – 1:1 transmission – straight handpiece used for surgical procedures. 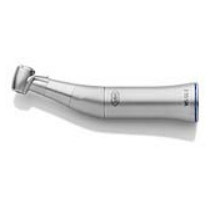 WH-WI-75 LED G Surgical Contra Angle Handpiece – 20:1 reduction – contra-angle used for implant procedures.